I have a couple of my current Friday Favorites for you today to cap off this week! 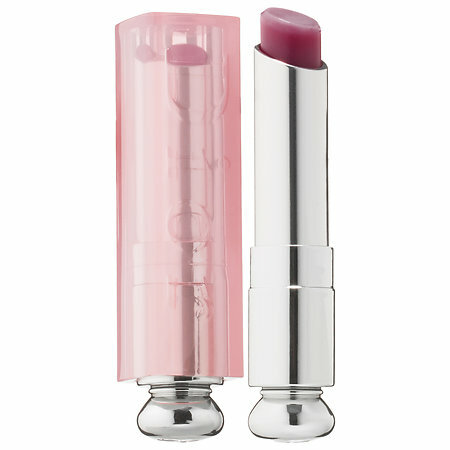 I have pushed the Dior Lip Glow on you several times in the past but now I got the newest shade (berry!) and just insist you pick it up too. Dior Lip Glow is a lip balm with hydration and vitamin E with a pretty hint of color which reacts differently to everyone’s pigment. I always love the way the lip glow looks on me as it creates a nice color without being overpowering. I’ve had a pink and peach and now the berry Dior Lip Glow color to add to my collection. Okay so I know I mentioned these Henri Bendel Essential Trio travel bags a couple of months ago but I must mention them again because I am in love! I used all three bags when I went to Chicago and they were just perfect for organizing all of my stuff. I used one bag for makeup, one for toiletries and one for odds and ends. I felt so organized and I really feel these bags take up less space than your usual toiletry/makeup cases. Even if you aren’t traveling, I think these bags are a necessity. Think about your beach bag needs (like where to put the sunblock, lip balm hair brush, tampons etc. 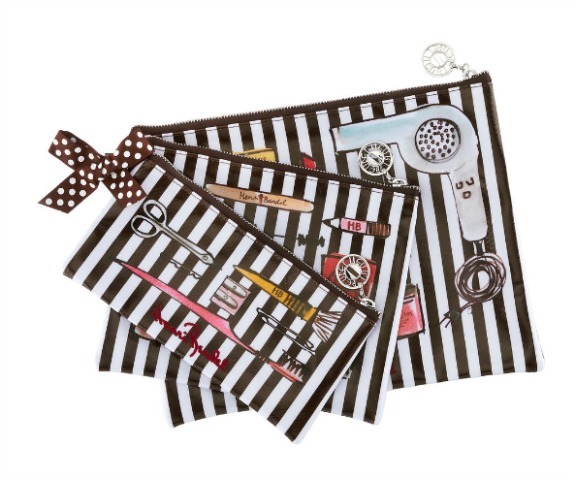 ), your makeup case for your purse and even storing one in your work tote. The bags come in other patterns and materials, I would check out Bendel’s whole collection actually if you are interested. On my list from Henri Bendel – > one of the packable hobo bags. They fold up so nice and then open up like a perfect, adorable tote. Running this week has been sort of bleh (more on this in Sunday’s post) but the music I listened to each day made me happy. Hush Hush by Pussycat Dolls < – an oldie but a goodie! Here’s What Happened When I Took Work Email Off My Phone < – Do it! 13 Best Cookies in NYC and Where To Find Them < – I am on a mission. 3 things you have planned for this weekend? Anyone running the NYC Half on Sunday? Great list, I mean I don’t think that lipstick is my color, but everything looks fun to check out! aw, puppies are so sweet! I LOOOOVE that Coldplay Chainsmokers song SO MUCH. I listen to it over and over again and never get sick of it. That lip gloss looks nice. Would it suit me? I never ever wear lipstick though so I can’t have it really showing. Is it just a barely there tint? I think you would really like it! I don’t love wearing lipstick but these lip glows are perfect because it’s literally a hint of color while moisturizing the lips. I definitely recommend it! The lip glow look fantastic!!! It would match perfectly to my new pink pastel dress. Good idea for night out. Thank you. You always find such good beauty stuff but that is so not my thing. I wish it was something I cared about more/knew about more. This weekend I am continuing the car hunt….ugh. Have a great weekend! This is a great list. I love the recipes especially. Trying out recipes at the weekends and prepare meals for the week ahead always brings joy and relaxation. Aw shucks. Thanks for sharing my Lentil meatballs lovely. I really appreciate it.